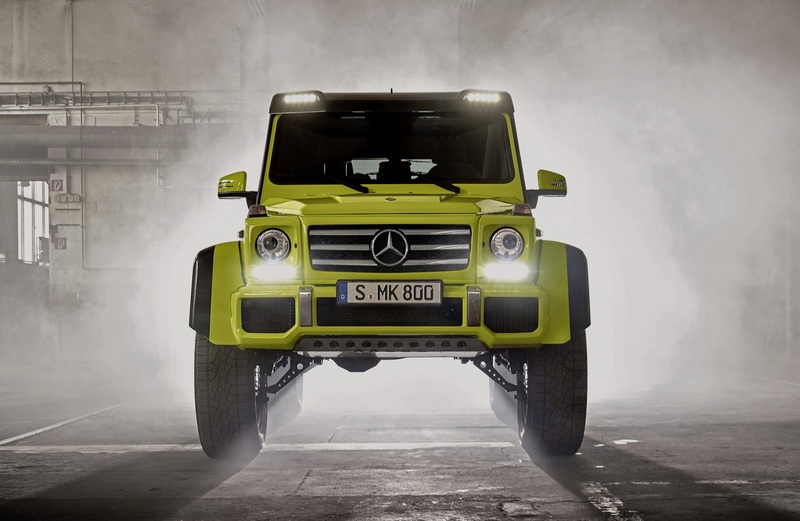 If you are a true 4×4 (off road) lover then you definitely know about the Mercedes Benz G63 AMG 6X6. That is a one nasty 19 feet long, 3 axle’d German off road monster. It’s based on the regular Mercedes G-Class SUV which was introduced some 3 decades back, but with additional off road capabilities and an extra axle. 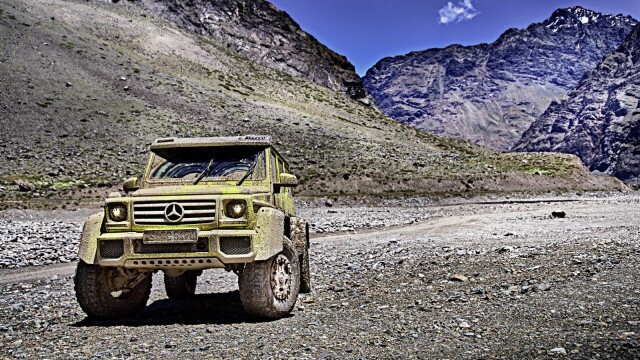 People like to call it a Mechanical Camel as desert is nothing for G63 AMG 6X6 and that’s the reason most of 6X6 are sold in the Middle Eastern markets where off roading on sands dunes is a favorite past time. It is powered by the hand crafted direct-injected 5.5-liter V-8 with an output of 536HP coupled with a seven-speed automatic transmission which sends 30% of torque to the front, 40 percent to the central axle while the remaining 30 percent to the rear with the help of transfer case. Initially, Mercedes planned to produce 100 units only priced at half a million dollar each, but later decided to make more units owing to demands from customers. Earlier this year, Mercedes announced that the production of the Mechanical Camel has stopped and all units are sold out. According to Mercedes “Only a G-Class can be better than a G-Class”. If you ever thought of buying a G63 6X6 but never bought one because of its longer length then Mercedes is here to help you out. Mercedes just released the details of G500 4×4². Yes, Mercedes calls it 4×4 “Squared”. It’s also based on the same G-Series SUV, but have most of its off road DNA from the 6X6. From the looks, it almost looks like the 6×6 except the missing rear bed. Unlike 6X6 5.5L V8, the G500 4×4² is powered by the new AMG M178 4.0L twin turbo DOHC 32-valve V-8 aluminum block engine with output of 416HP, which is exactly same as in the Mercedes Benz AMG GT. The same engine can also be found in the newer C63 AMG sedan and wagon. This might not click right to a few off road gurus, but according to Mercedes, the new engine is as fun to drive like the older 5.5L V8. 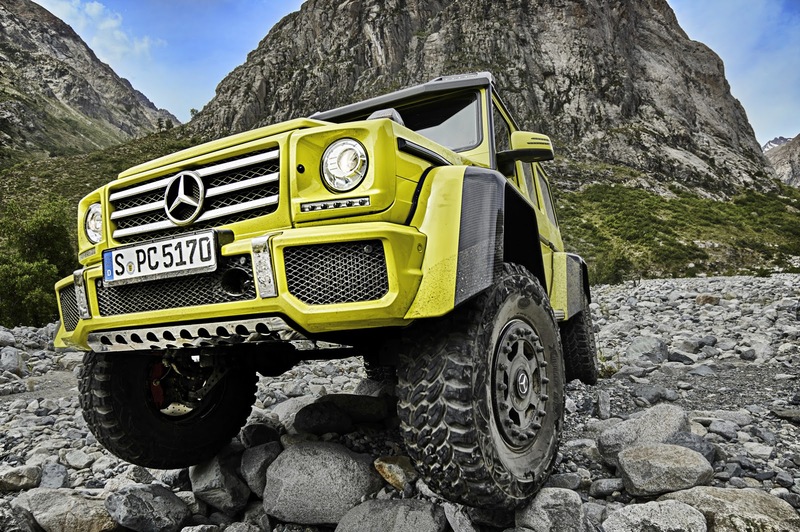 Mercedes says that the off road capabilities of the G500 4×4² are unmatched with almost 18″ of ground clearance and approach and departure angle of 52° and 54° respectively. 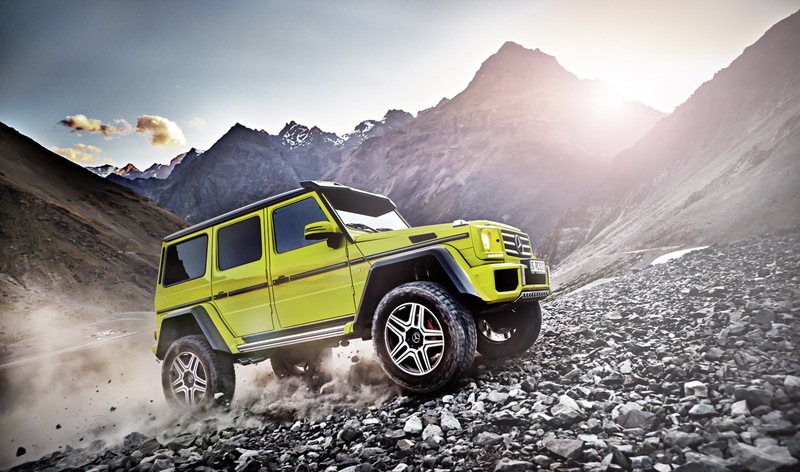 Like G63 6×6; G500 4×4² is equipped with portal axles, which use gears in the hubs. This keeps the axle to go higher than the center of the wheel unlike conventional axle where it must remain in the center line. The major portion of under body is protected with stainless steel skid plates. Mercedes says: “One spring/damper strut works conventionally with set damper characteristics, while the other has electronically controlled adjustable damping that can be changed from COMFORT to SPORT in just 15 milliseconds” for better ride handling. The 2.5 tonnes SUV can reach from zero to 60 in around 5.7 seconds with a top speed of 130 MPH. 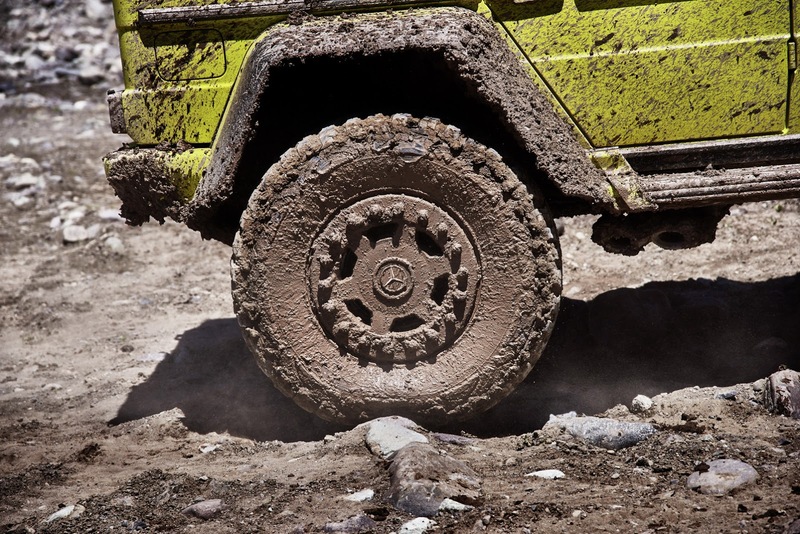 Mercedes Benz advised to keep it below 100 with the off road tires. These features helps the 4×4 to climb and clear ugliest terrains and obstacle and do miracles which other SUVs like, Range Rovers, Land Cruisers or anything from BMW can’t even go close to. No details on the interior for now as Mercedes is keeping those under wraps until the official release in Geneva next month. Expect the price above USD 200k. Interested readers can read the complete Official Press Release with all technical insight. Meanwhile some pictures and an impressive official video can be seen below.